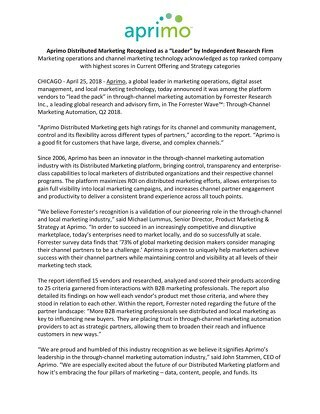 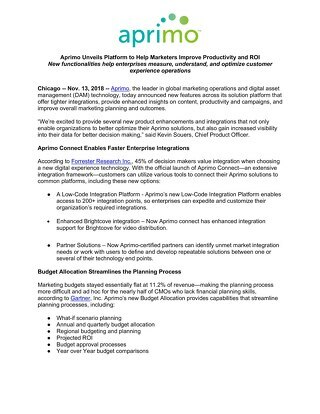 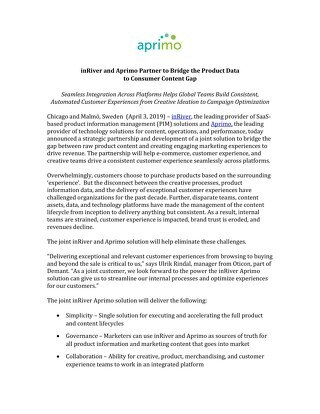 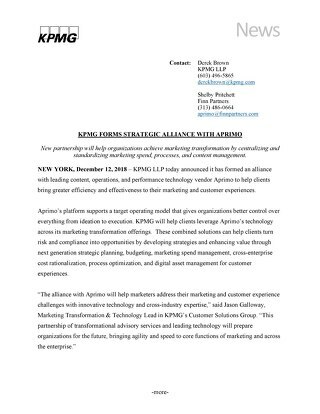 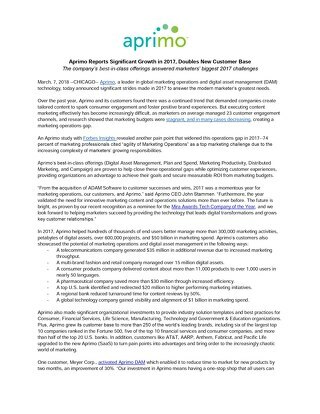 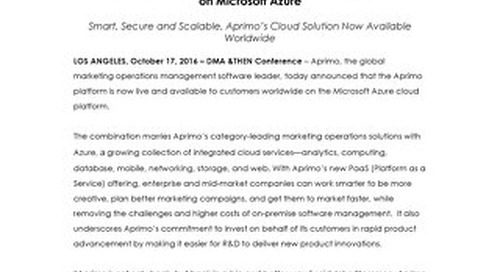 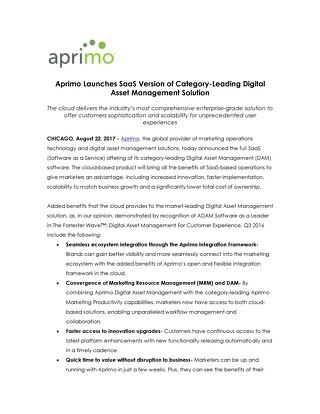 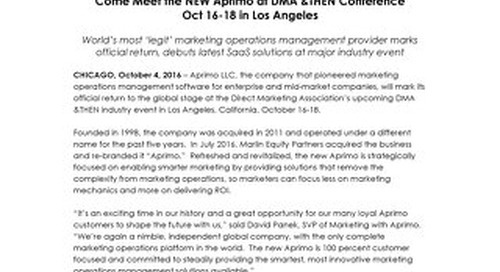 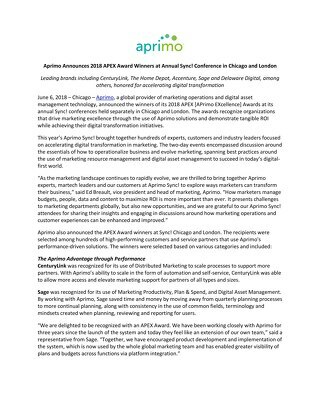 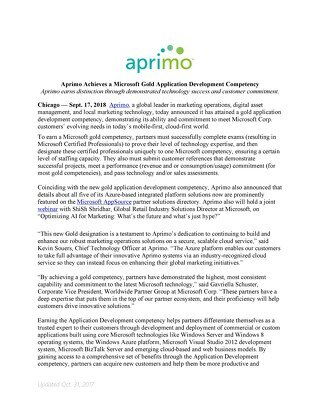 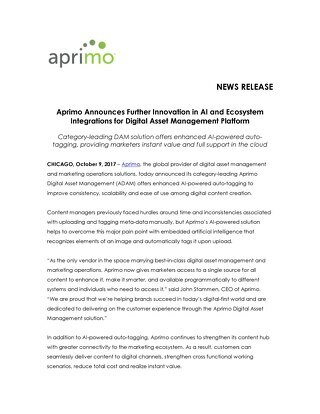 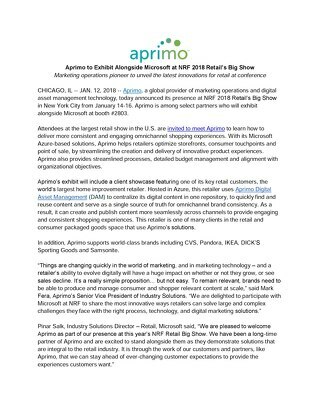 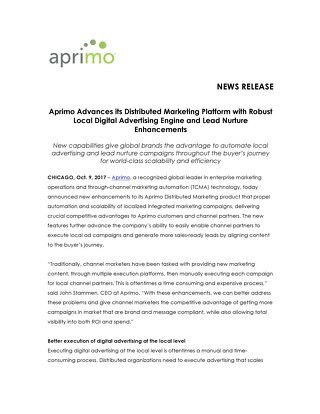 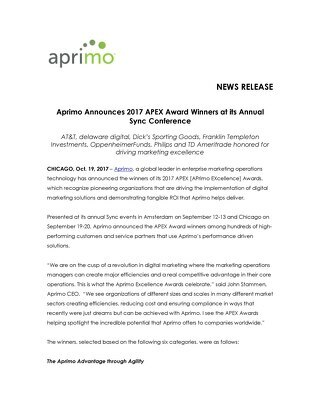 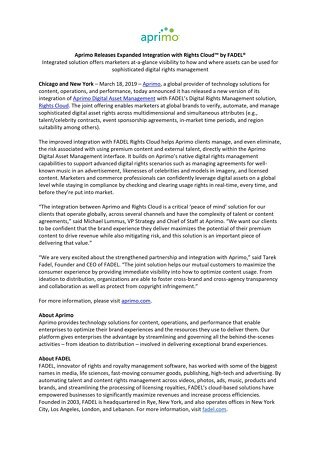 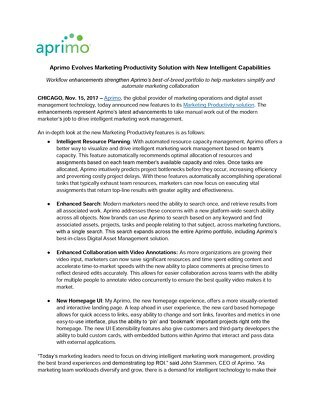 Aprimo, the company that pioneered marketing operations management software for enterprise and mid-market companies, today launched its newly re-established brand identity and go-forward business strategy at DMA &THEN, a global marketing industry technology conference in Los Angeles. 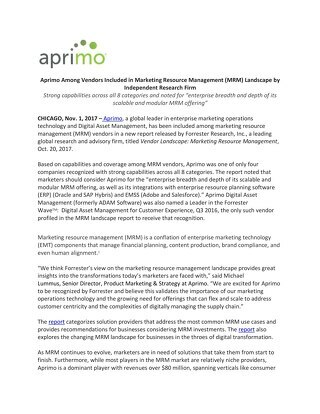 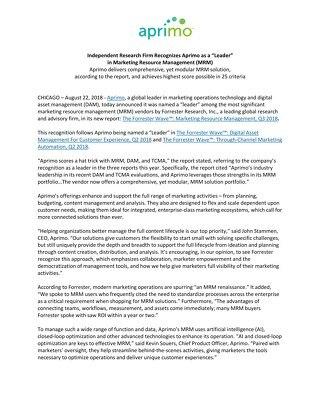 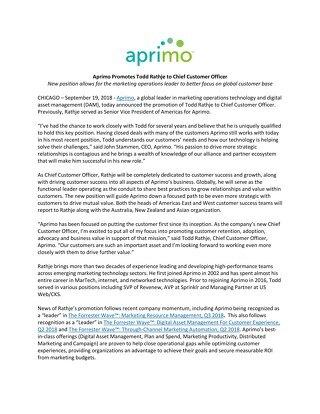 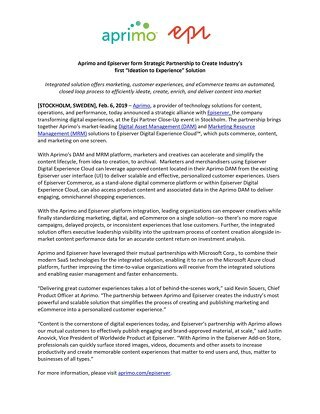 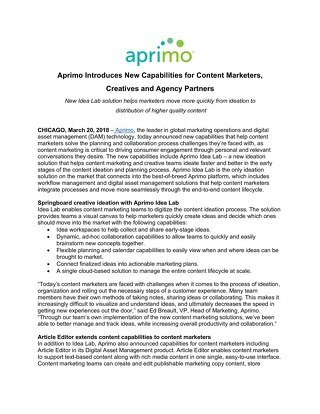 The Aprimo brand, long associated with marketing operations excellence, has re-emerged anew following the recent sale of Teradata Marketing Applications (TMA) to Marlin Equity Partners. 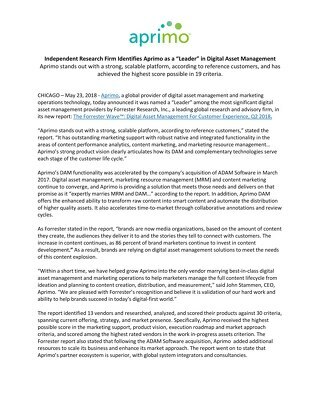 Teradata acquired Aprimo in 2011 and made it part of TMA, then sold the business to Marlin in July.